Music Messenger, an app that allows people to share songs with each other for free, has successfully raised some US$30 million (about RM108 million) from private investors. The largest share of which was a US$15 million (about RM 54 million) investment from Chelsea football club owner Roman Abramovich. 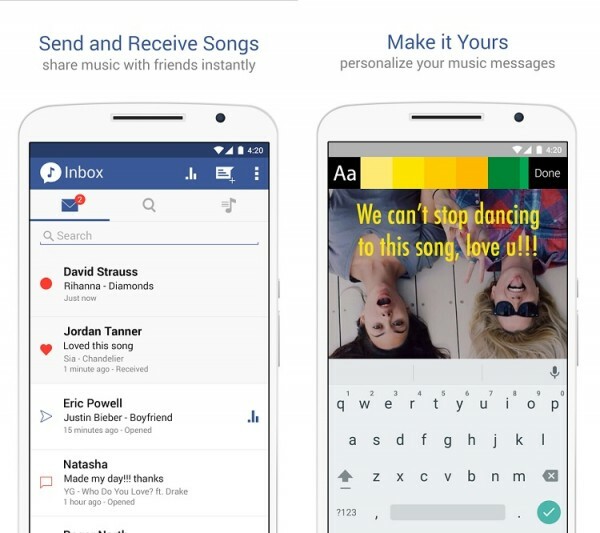 The app allows users to create playlists of songs to be shared with one another without incurring any charges. While the music streaming industry has no lack of players, Music Messenger is the only service that allows for direct sharing between users. Also unlike other music streaming services, the app is seen by the music industry as a promotional tool for getting users introduced to many new songs. Instead of waiting for people to discover music on their own. Over US$35 million has been raised by the developers so far, with investors that also include Benny Andersson from ABBA, David Guetta, Will.i.am and Avicci. The company is currently valued at US$100 million, which is impressive considering that it was only launched seven months ago. Music Messenger plans to expand to China over the summer, while also aiming for markets in Russia, Brazil, and India. Reuters reports that it is attracting over one million new users each month. The app is available on both Android and iOS, and can be downloaded from the respective app stores.